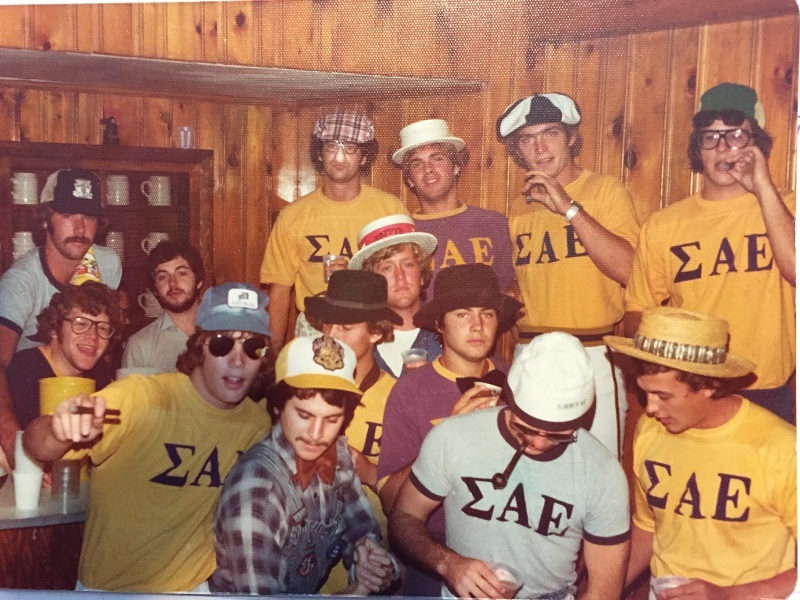 "I specifically remember the Phi PSI 500 weekends, warm spring days, cases of Rolling Rock pony bottles on the Veranda, Frisbee in the front yard, tunes blasting out Room H window, and enjoying the best seat in the house to watch the racers stagger from the Phyrst to the Brewery and the thousands of people walking by on Beaver Ave.
Saturday mornings of home football games were always a riot and packed with anticipation for a great day: the kitchen was the hub of activity. NoJack would be laboring over pots of Bloody Marys and organizing the pledges to load kegs and drive his van and two cars up to the Stadium parking lot. 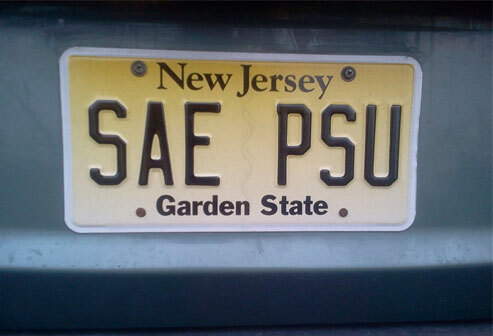 After all other cars filled in around them, the pledges would remove the two cars and create a big open space for the tailgate. Brilliant! Another crew of “meat slappers” would line up at the kitchen table and build hoagies on an assembly line. Devlin would be devouring huge bowls of cereal while other guys filed in and told tall tales about their conquests the night before. 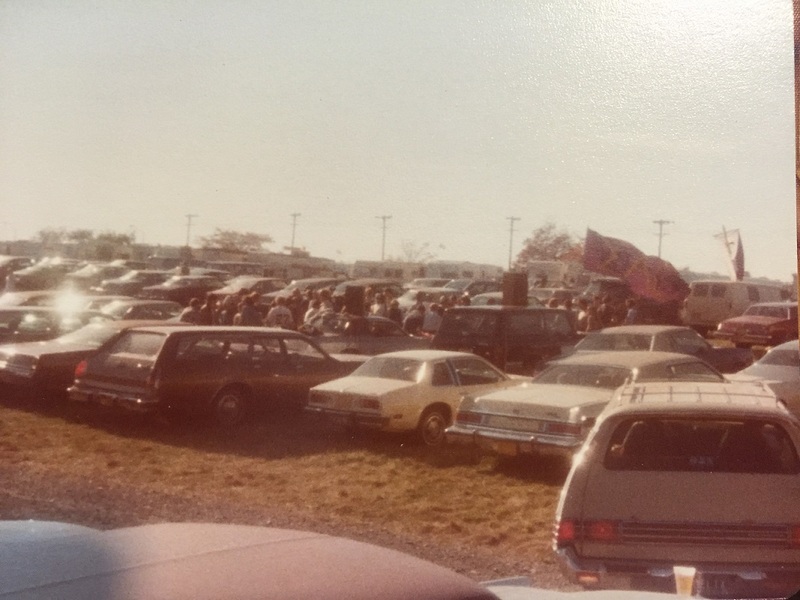 The SAE Tailgate circa late 70's- Speakers are on the roofs of the cars. And since SAE usually had the most guys on the cheerleading squad, their partners would come to the house Saturday morning and we’d all walk up to the stadium together. That was fun – the students loved those girls, as did we!"